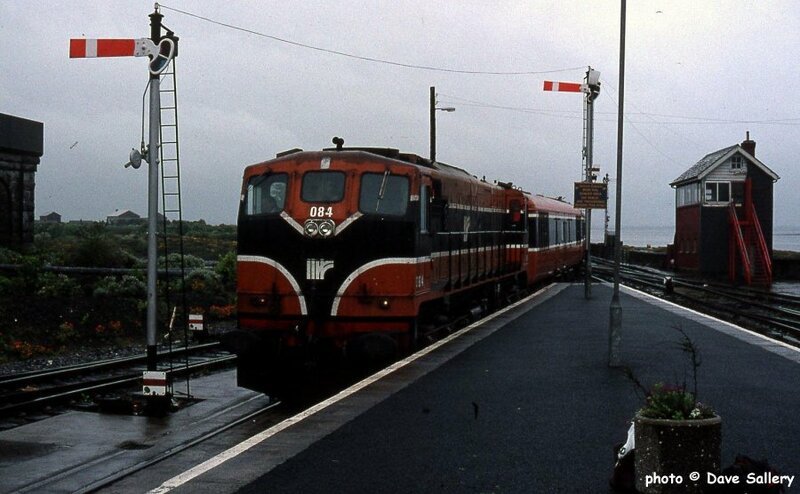 073 enters Portarlington from the south. 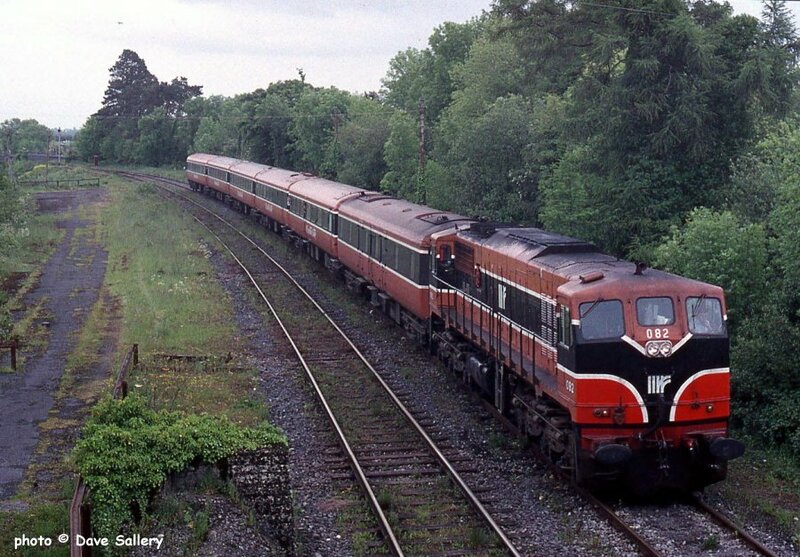 The line to Galway, Westport and Ballina can be seen branching off to the right. 2 June 1994. 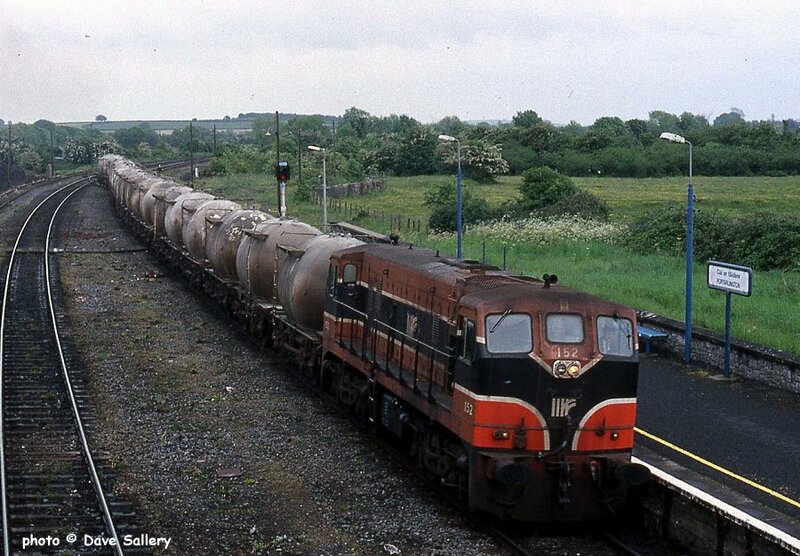 152 on a cement train had run round in the loop north of the station. 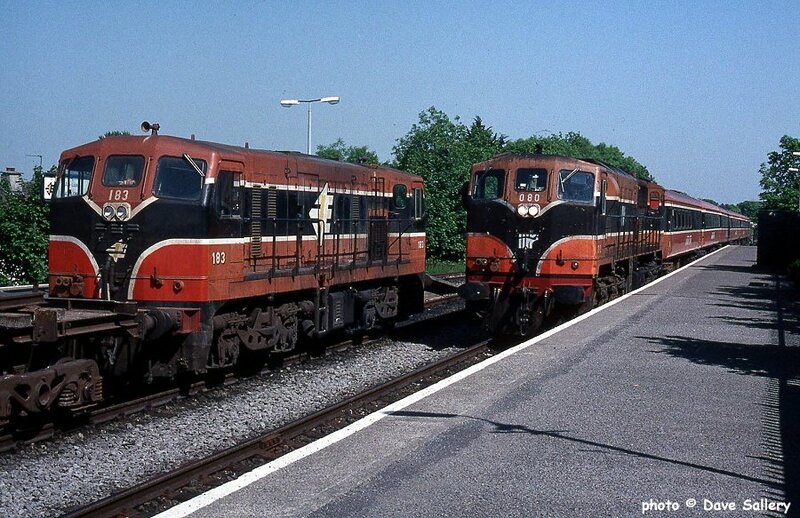 2 June 1994. 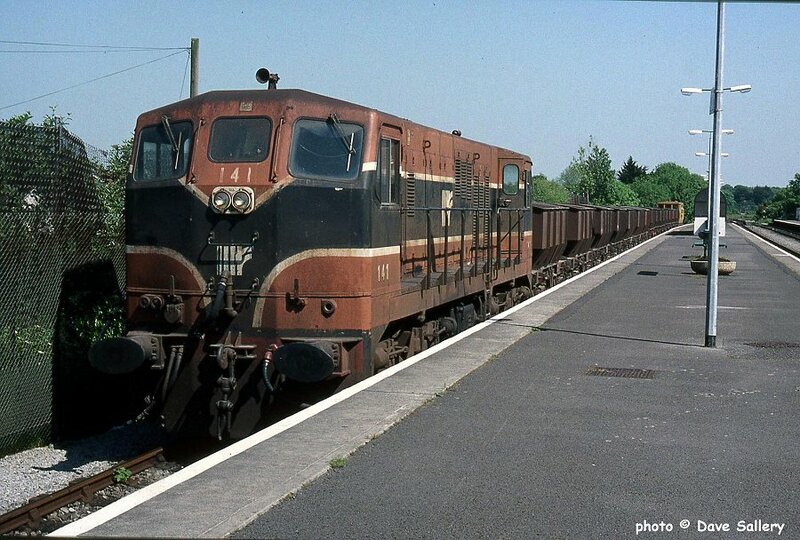 080 on a Galway train passes 183 on another engineers train, 29 May 1997. 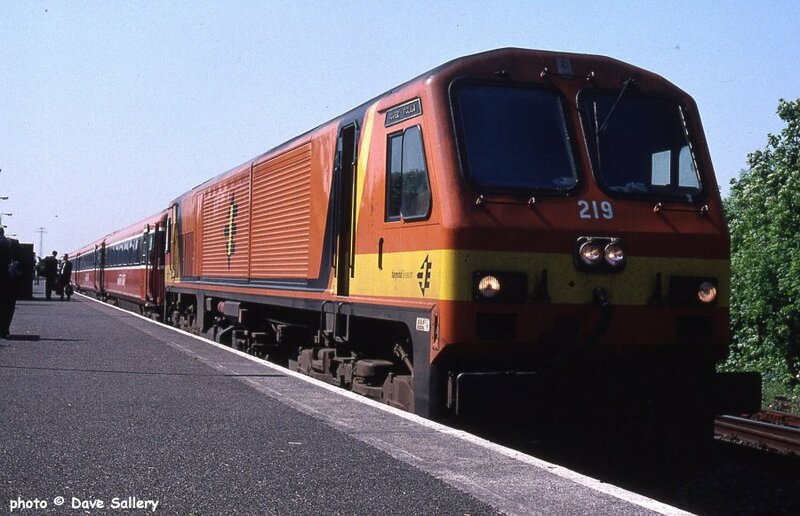 219 at Athlone on a Dublin Heuston train, 29 May 1997. 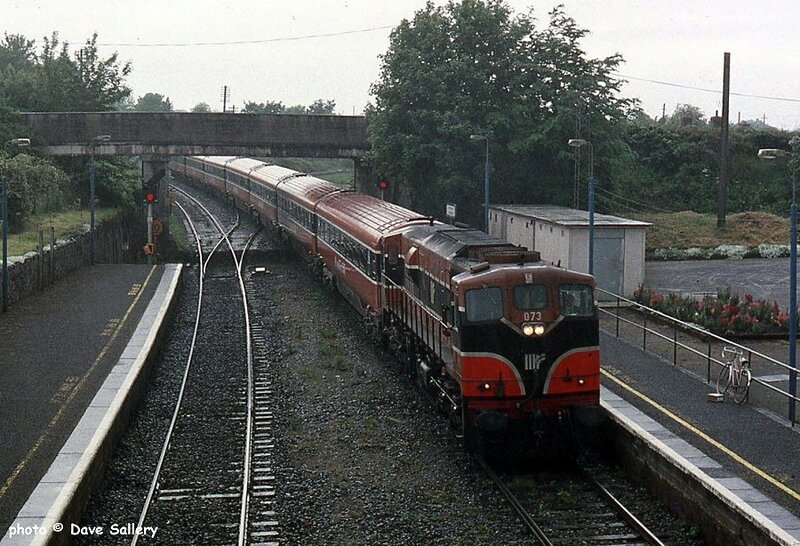 082 entering Ballinasloe, 2 June 1994. 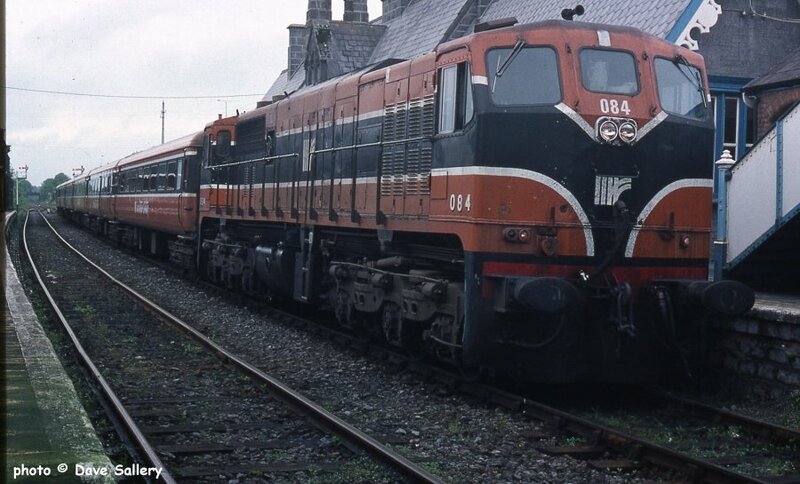 084 at Ballinasloe, 2 June 1994. 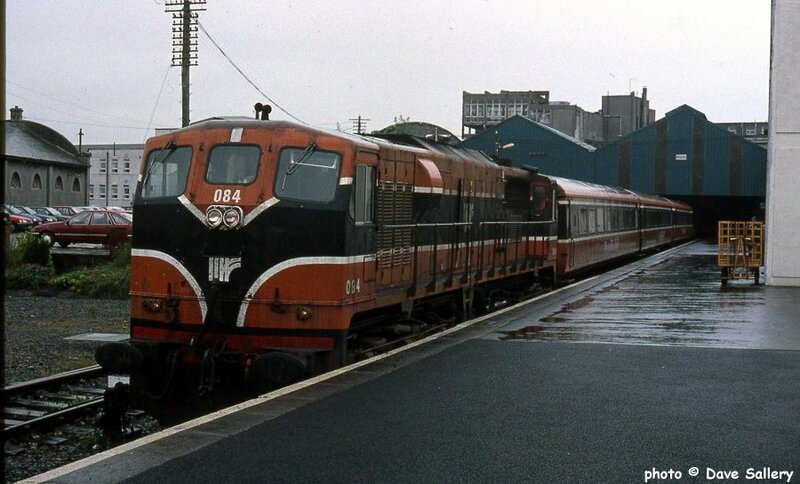 084 at Galway on a rainy 2 June 1994.